what makes bullseye markets different from all the rest of basically unregulated forex brokers? •	Registration Period: 18th March 2019 to 19th April 2019. •	The Client must register for the competition via the competition dedicated page in order to participate. •	The Client must register for the competition via the competition dedicated page in order to get bonus. •	Maximum Bonus for a single client is $600/Per Client. •	This Bonus offer is not applicable for the traders who already engage with other active promotion. 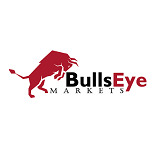 Bullseye Markets provide seven different kind of account types, all seven accounts are with highly competitive and distinct trading that fulfil the needs and expectations of all types of traders.